It’s the news many have been waiting for – HTC, possibly Taiwan’s coolest phone maker, are looking to enter the Android tablet race in early 2011. HTC are rightly seen as Android’s quality benchmark device manufacturer, so we can expect any device bearing their name will be of a high standard. 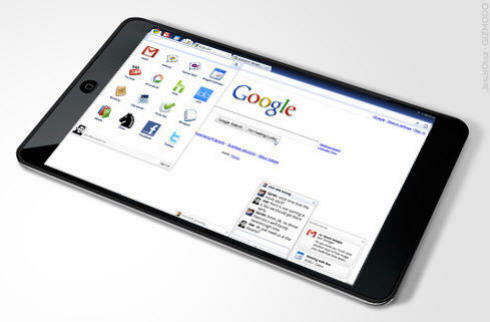 So what does the rumour mill say about the HTC Tablet? Most significantly it may possibly be one of the first generation devices with the 3.0 Gingerbread flavour of Android on board – 3.0 is rumoured by some to be the first iteration Google consider to be ‘tablet ready’ and will include a possible UI change (others say Honeycomb will bee the one). That’s not to say the good stuff ends with the software as the hardware has a few high points too. We may be looking at a 1280×800 multi-touch screen of a size yet to be revealed – possibly 10″, 2gb internal memory and a 32GB SSD. All this will run the gamut of GPS, Bluetooth and WiFi (although no mention of any cellular radio). It’ll also be powered by the dual-core graphic powerhouse that is Nvidia’s Tegra 2, which should give it some serious horesepower. This isn’t the first time HTC has dabbled in devices of a non-phone form – see HTC Athena and HTC Shift – and certainly it can be said that some people are waiting eagerly for one of the biggest and most trusted device manufacturers to join the tablet race, up against Samsung’s Galaxy Tab, Apple’s iPad and other devices from Archos, Hannspree and Toshiba. It’ll be interesting to see where the tablet will be in early 2011, with many expecting a mini-explosion in Q4 2010 in time for the Christmas rush. One thing’s for sure – you can expect CES 2011 to be nothing but a sea of tablets! Mmmm, can’t wait!